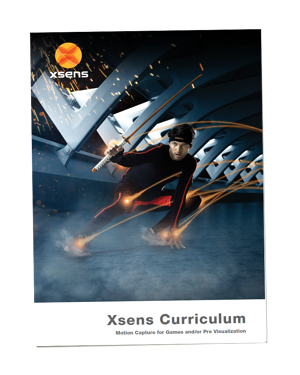 The Xsens Education Program is designed to make MVN technology more accessible to programs, which are often limited by budgets and physical space. These schools can now teach professional motion capture anywhere there’s a WiFi connection, removing the need to turn rooms into makeshift studios. With the Xsens Education Program, students will have access to the same mobile technology used on films and games like Avengers: Infinity war, Just Cause and Black Panther. Unlike optical systems that require a dedicated room, the Xsens MVN Animate system uses wireless, inertial trackers to record the motion capture information, promoting free-reign of an environment. MVN Animate is Xsens’ proprietary motion capture software. It is used in conjunction with Xsens MVN hardware to record, monitor and review movement. Users can capture anywhere, in any environment, with total reliability – and without the need for extensive post-capture clean-up or editing. MVN Animate is easy to use, reliable and gives production quality data. "Instead of spending three hours doing clean-up, you can pretty much just slap on a pose and export it into your game. That’s the most exciting thing with the new MVN Animate." The educational program is available for the EMEA and Americas markets.